Steve is the architect of The Golf Learning Center at Reston National Golf Course. The Nike facility is recognized as the No. 1 Nike branded golf school in the country. 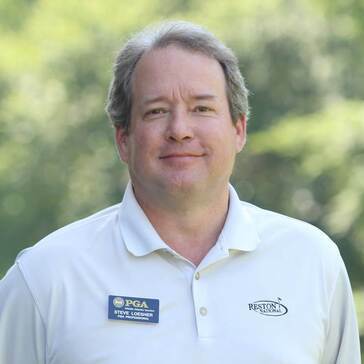 A golf professional for 25 years and PGA member for the past 21, he enters his 11th year serving as the Director of Instruction.